Jesse and I are both currently snuggled up in blankets in our office - we're both sleep deprived and just wanting to relax. 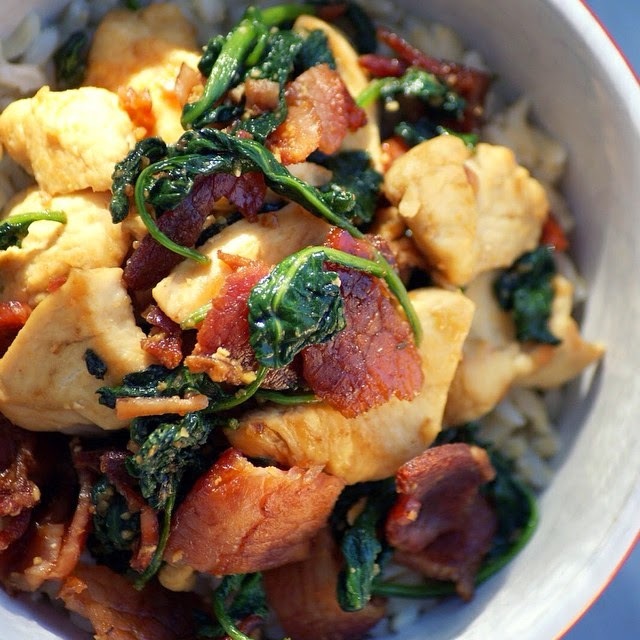 On Friday night we brought back an old favourite for dinner - The Healthy Chicken Bacon Rice Bowl! I think this week's mission is to create awesome veggie burgers because I've never actually had a veggie burger that I loved and I'm determined to create a recipe which I do love! And are you a tea lover like me? What's your favourite tea? I can always go for a great veggie burger! I make a really mean homemade black bean burger and I love it. Also, Baby Daddy is hilarious! I recently binge watched those episodes on Netflix as well.